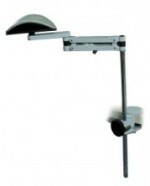 The Floorstand is a mounting solution for the use of communication devices or notebooks where normal mounting accessibility is restricted such as in bed or on a sofa, recliner, armchair or wheelchair. The Floorstand makes it easy to position communication devices with greater mobility and versatility, especially EyeControlled devices. 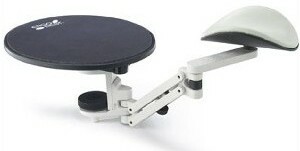 The MONTY-3D mounting system is suitable for mounting communication devices and notebooks on a wheelchair. 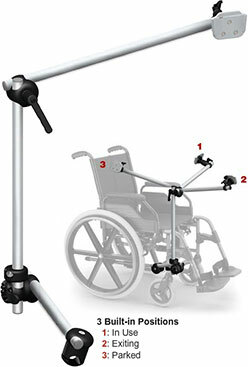 There is also a model designed with heavy duty features for mounting Eye Control Communication Devices too! 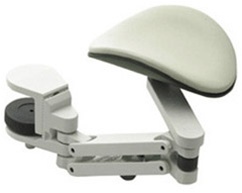 ErgoRest forearm supports are ergonomically designed to provide a support for the forearm. It is ideally suited for both office and industrial applications. The arm has a flowing movement on a horizontal plane and allows you to move between the keyboard and mouse without any interruption in support. It clamps to the worksurface and is height adjustable to 2.95" above the worksurface.